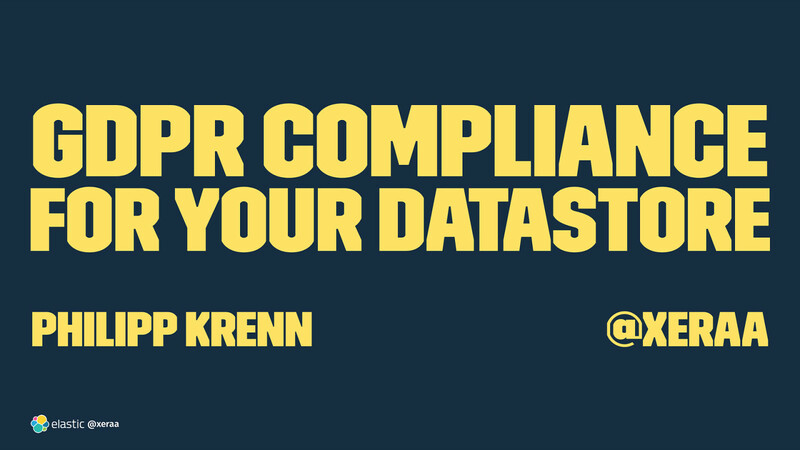 View GDPR Compliance for Your Datastore. What is the GDPR and what does it actually mean for your business? What are your options for storing data — including not storing information and securing it? What are some of the hands-on steps to take for example with logs that your applications are collecting?